On Easter Sunday morning join us on the farm to see what the Easter Bunny has been up too- we can guarantee that there will be plenty of chocolate easter eggs hiding around the farm, cottages and courtyard for our youngest guests! 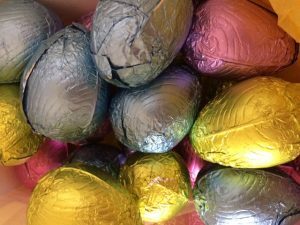 Head over to the annual South Pool Easter Fun Day on April 20th (Approx 10 mins from Beeson Farm) The fun takes place alongside the estuary in the pretty village of South Pool, home to the fabulous Millbrook Inn. Turn up with your Easter Bonnet for the childrens egg hunt and bonnet competition from 12:15pm and then marvel at the South Pool duck race from 2pm, chose your rubber duck and cheer it on as it floats to victory down the estuary! There will be a BBQ and live music at the pub throughout the afternoon. East Soar Outdoor Experience is situated on a National Trust farm in one of the the most breathtaking parts of South Devon on the headland, just above the picturesque town of Salcombe (approx 15 mins drive from Beeson Farm). Their yearly Easter family fun days are hugely popular with locals and guests alike and will runs over the Easter holidays. 11am daily, £3 per child. The Tower Inn in Slapton are hosting their own mini Easter fair on the 20th April, with plenty of entertainment for the children and wonderful food and drink for the adults to get Easter off to a great start! 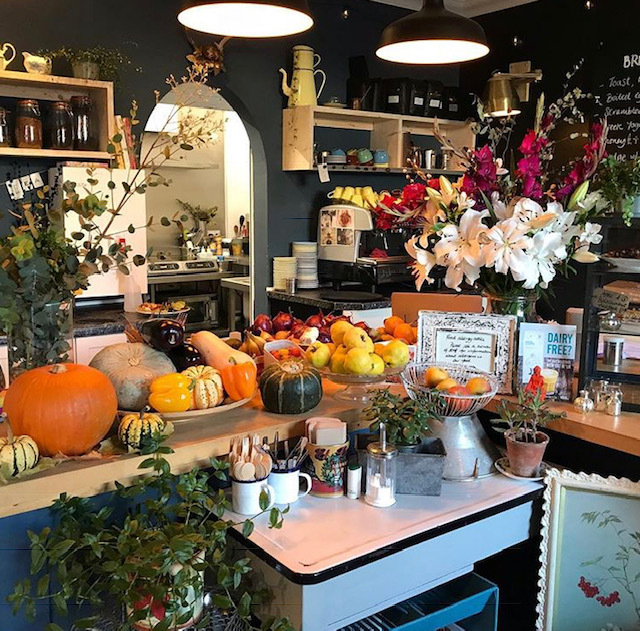 Stokeley farm shop has everything you could need from a high quality butcher, cheese counter, fresh baked goods, local vegetables, locally produced beer, wine and gin and all other manner of groceries and essentials. The shop is very happy for you to take your own containers for your meat etc. You can also take home your produce from the butchery and deli counters in your own reusable containers to help reduce single use plastic. Pretty local is on online marketplace offering a fantastic array of high quality food and drink. 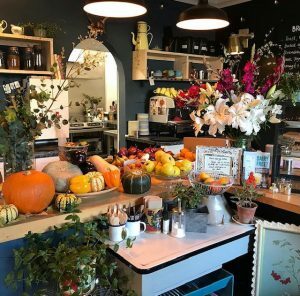 Each of their sellers is located in south devon within a 20 mile radius of Kingsbridge, keeping food miles to a minimum and supporting local farmers and producers. Order online by midnight on Wednesday to have your food delivered to your cottage on a Friday so it is in the kitchen for you when you arrive (they will even unpack everything and put items that need it into the fridge). We are pleased to see that most items come in a paper bag or without uneccessary plastic packaging. 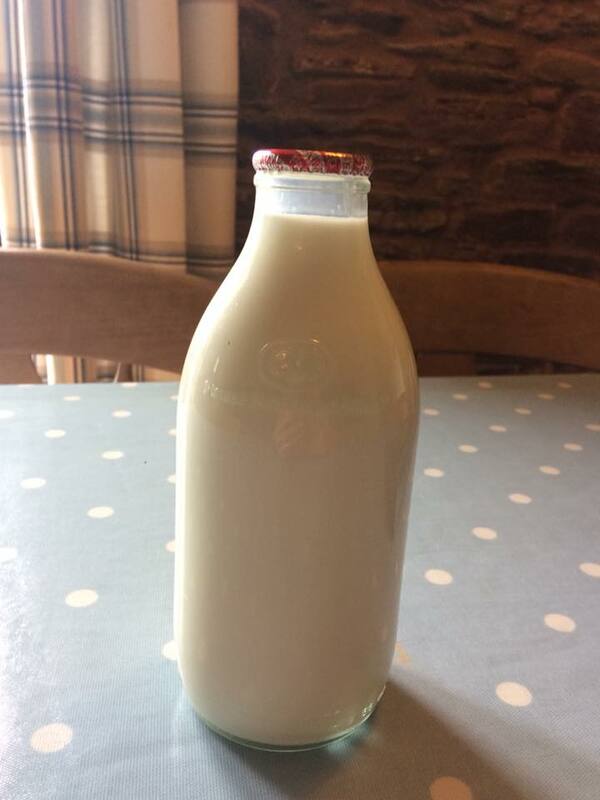 Milk – we supply our cottages with milk from Dartmouth Dairy, making sure there is a pint in the fridge for you when yo u arrive. Their delicious locally produced milk is delivered to our doorstep in glass bottles, which we then return to them for reuse and we are delighted that as the tide turns against plastic waste the old fashioned milkman is making a comeback! Cleaning products we use biodegradable, eco friendly cleaning products on our changeovers and try to ensure that our cottages are equipped with the same. We use Bio D products which are approved by Cruelty Free International and the Vegan Society, which are also hypoallergenic. we buy in bulk and refill our own containers. We also use Ecover cleaning products, which are mostly renewable, biodegradable plant based ingredients. Our handwash and washing up liquid is also supplied in bulk and we refill plastic bottles ensuring that we aren’t contributing to the plastic waste problem. Lets take just 6 weeks to try and make a change. Pancake day is a firm favourite with all the family at Beeson Farm holiday cottages- especially the dog who waits expectantly for any failed flips and pancakes falling from the heavens! Although we love a good fluffy American style pancake for breakfast we think for pancake day you’ve got to go traditional. Guests are very welcome to go down to the chicken coop and collect fresh eggs for the recipe! Put the flour, eggs, milk, 1 tbsp oil and a pinch of salt into a bowl or large jug, then whisk to a smooth batter. Set aside for 30 mins to rest if you have time, or start cooking straight away.Set a medium frying/crepe pan over a medium heat and lightly wipe it with some oiled kitchen paper. When hot, cook your pancakes for 1 min on each side until golden, keeping them warm in a low oven as you go.Serve with lemon wedges and sugar, or your favourite filling. For all your pancake day ingredients (including delicious fillings) head down to Stokeley Farm Shop (between Stokenham and Torcross). If you prefer to go out for pancakes we can recommend The Seabreeze Cafe at Torcross for big American fluffy style pancakes or head to the Cricket Inn at Beesands for their hugely popular seafood pancake! January 21st is dubbed blue monday….apparently the gloomiest, most depressing day of the year! We awoke to try and glimpse the t otal eclipse of the Super Blood Wolf Moon, followed by the sun rising over the Devon hills, illuminating the grazing sheep and sparkling off the calm seas. 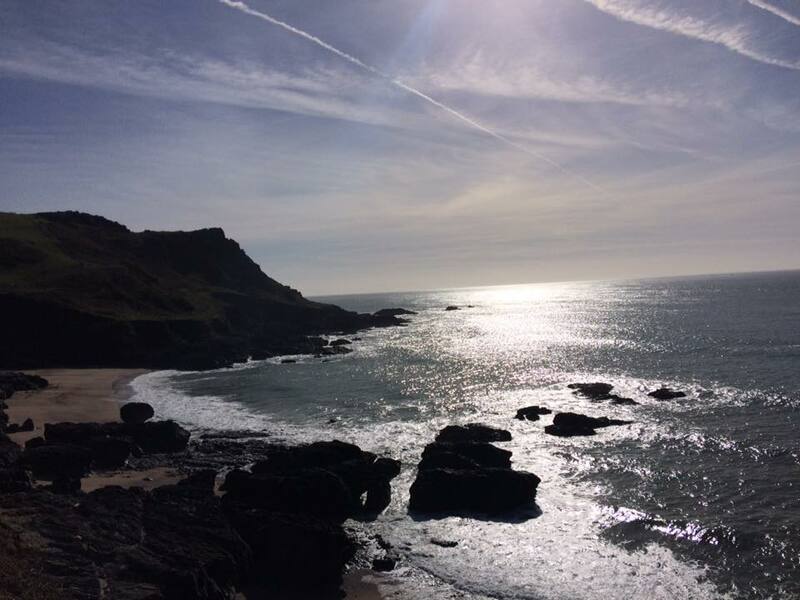 We certainly do have blue days in devon… blue skies, blue sea and wide horizons where the two meet. Living by the coast engages all your senses and we constantly appreciate each daily gift and ever changing view and are looking forward to sharing it all with our guests in the year ahead. So, if you need something to look forward to in 2019 book yourself some time away from the hustle and bustle of daily life. Our cottages are an ideal retreat and somewhere to spend time with family, friends, loved ones – or even just with the dog! Our special offers are available until the end of March with short breaks from just £210. Contact us for details. There is no greater pleasure than running around on the beach- whether you are on 2 legs of 4! South Devon is a dog lovers paradise, dogs are welcome in nearly all shops, pubs and cafes (some even have their own dog menus!) and the beaches are a dog walkers dream! Here is our guide to the best dog friendly beaches in South Devon. Less than a mile from Beeson Farm, the traditional fishing village at Beesands is home to a mile long shingle beach from which you can take the coastpath towards Hallsands or Torcoss (both of which are also dog friendly). Both the pub (The Cricket Inn) and the seafood café (Britannia at the Beach) offer the most amazing food, serving fish and shellfish caught in Start Bay. 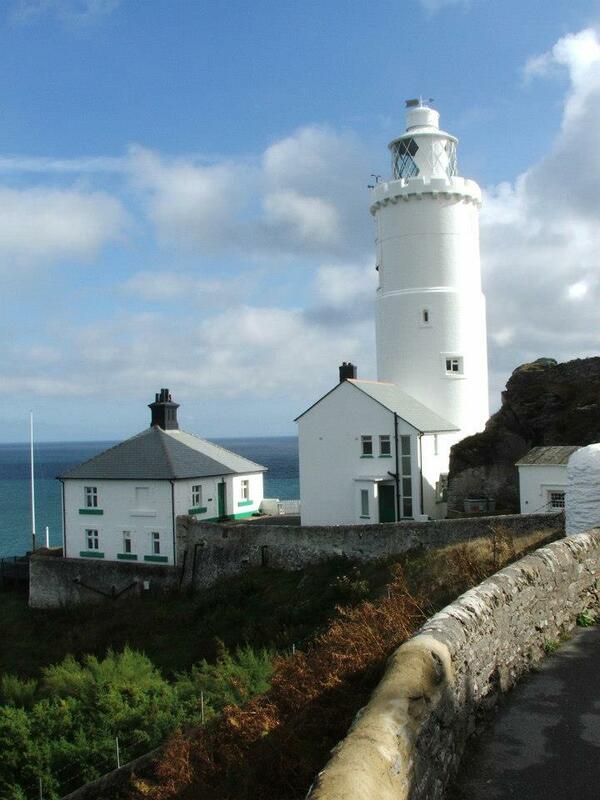 There is no lovelier spot to sit and eat whilst looking over Start Bay under the watchful gaze of the lighthouse. Beesands is dog friendly all year round. Start Point one of the most explosed penisulas on the coast and one of the best coastal walks in South Devon. The dramatic cliffs and coastal path forms a mile long headland running for almost a mile until you reach Start Point Lighthouse which has guided vessels along the channel for over 150 years. To the west of Start Point you will find Mattiscombe Sands and Lannacombe Beach (the latter of which has a small carpark with parking for approx. 10 cars). Dogs are welcome on these beaches are you are likely to be rewarded with spotting seals basking on the rocky outcrops along the coastpath. 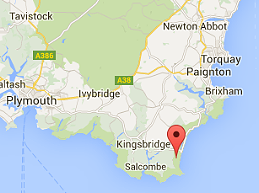 Slapton Sands is a three mile long stretch of shingle beach which runs from Torcross heading towards Dartmouth. 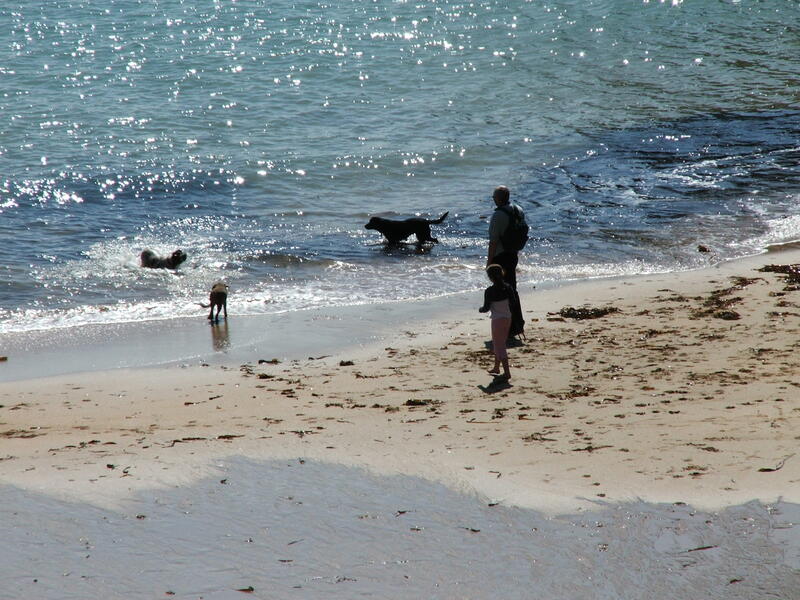 Completely level with easy parking (or walk from Beesands over the coastpath), dogs are welcome all year round. There are some great eateries where your dog will be made very welcome. Discover the fascinating WW2 history where the beach was used to practice for D Day or head into Slapton Ley nature reserve for a stroll in the shade of the woods alongside the Ley, the largest freshwater lake in the south west. Slapton Ley is a site of special scientific interest. The nature reserve covers 490 acres of woodland, marsh and reedbed habitats making it a wildlife haven for all types of birds and wildlife. 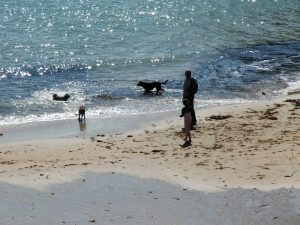 Sitting opposite the waterfront town of Salcombe which lies across the water of the estuary, the beach at East Portlemouth is dog friendly all year round. A beautiful stretch of golden sandy beach (with a National Trust car park) it is easy to see why this is a favourite with locals and holiday makers alike.. The shallow and sheltered turquoise waters of the estuary are a great spot for paddling or a swim for you and your pooch. A favourite pastime with all children is to try and dam the stream which runs along the beach and into the Estuary. After a day on the beach hop on the passenger ferry and head over to Salcombe, one of the prettiest towns in the area and a water sports ad sailing hotspot. Park at Gara Rock itself or choose to leave the car at Mill Bay and take the scenic coastal path or the pleasant woodland walk up to the top of Gara where you will find the fabulous Gara Rock hotel (open to non residents) with its spectacular panoramic clifftop setting and delicious menu, its an ideal spot for a bite to eat. Head down to Rickham Sands, a beautiful secluded cove and a staggeringly beautiful coastline, dogs welcome all year round. Some of the most expansive sandy beaches in our area, both beaches are sandy with shallow waters but both are renowned surfing spots (both have excellent surf schools should you wish to learn!). Bigbury (seasonally dog friendly) is home to the famous Burgh Island, which is accessible on foot at low tide or by the sea tractor when the tide is in. 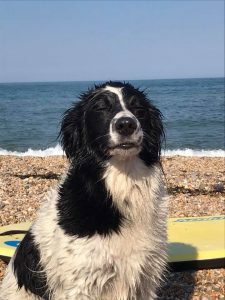 Dogs are not allowed on Bantham beach from May-September but are allowed on the estuary at the southern end of the beach all year round which you can get to at low tide. As the tide rolls out at Bantham you will discover plentiful shallow rock pools perfect for adventures with little ones. Don’t forget your bucket and spade! Lifeguards are on duty from May to September. After a day on the beach you can buy refreshments at the Gastrobus or head to one of the local pubs. Bantham has excellent facilities including a large carpark and public toilets. 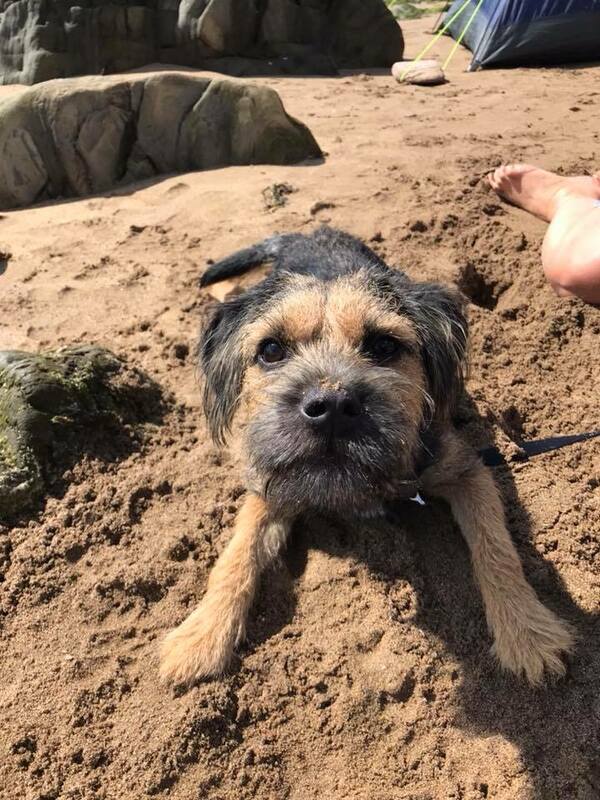 Choose to stay at Beeson Farm in either the Trap House, which has a private garden , or one of our other dog friendly cottages and you will have the ideal base for exploring these beaches with your pooch. We would love to see photos of your dogs enjoying South Devon- feel free to share your photos to our Facebook page! 2018 was quite a year in South Devon! From playing in the snow (a real rarity here- the South Devon rolling hills took on a new thrill!) to endless days basking on the beach in the summer heatwave, there was something new to do in every season. The original coastal trail series race, choose a 10K, half, full or ultra marathon along the the coastpath and countryside of our local area of outstanding natural beauty. Head over to East Soar Outdoor Experience with the (National Trust) and meet the animals, explore the farm trail and join in with the family friendly activities on offer. The quirkiest of all our local festivals! Use any tactics you can to charm as many worms from your designated plot of earth as you can! Register at the event. Also includes dog show, music and beer festival and events for all the family. This family friendly event is free to attend with over 100 live acts performing at various venues around the town. Devons most southerly village is full of quirky charm. The fete on the village green is one of the highlights of our year. Traditional family fun with everything from Maypole dancing to knobbly knees contests, skittles, swingboats and our favourite- the slippery pole! Refreshments available from the Pigs Nose Inn, a wonderfully unique village pub. Kingsbridge Fair gets the holidays off to a great start! Events including the hilarious raft race, carnival procession and lantern parade, teddy bears picnic and 10K run there is something for everyone during the week. The Inn Theatre Compant bring Shakesepare to the open air in the stunning surroundings of Dartmouth Castle. Salcombe Town Regatta is the biggest event in the town, with lots to do for all ages on an off the water, finishing off with a spectacular fireworks display. A popular and busy Regatta with rowing races, street food, childrens activities, fireworks and more. A wonderful event in our calendar, celebrating all that is great about South Devon life! A great for a day out for all the family with a full programme of activities, attractions, local crafts, agricultural equipment and animals on show. Our children absolutely love a day out at the show! The best of the South West is on offer during this weekend in the heart of the town. One of the UKs top food festivals you can attend cookery workshops, demonstrations and talks or just wander the town and sample the food and drink that is on offer. Father Christmas arrives in South Devon (by boat of course!). Start your Christmas shopping in the market and watch the atmospheric lantern parade. A one day Christmas celebration with shopping, craft market, street food and farmers market, rounding up with the lantern parade down the high street. Join in the festive fun at East Soar Outdoor experience (National Trust) and make your own natural decorations and help the wildlife through the winter by making simple feeders. Pancake day is a firm favourite with our family- especially the dog who waits expectantly for any failed flips and pancakes falling from the heavens! Although we love a good fluffy American style pancake for breakfast we think for pancake day you’ve got to go traditional. caster sugar, to serve (optional)Put the flour, eggs, milk, 1 tbsp oil and a pinch of salt into a bowl or large jug, then whisk to a smooth batter. Set aside for 30 mins to rest if you have time, or start cooking straight away.Set a medium frying/crepe pan over a medium heat and lightly wipe it with some oiled kitchen paper. 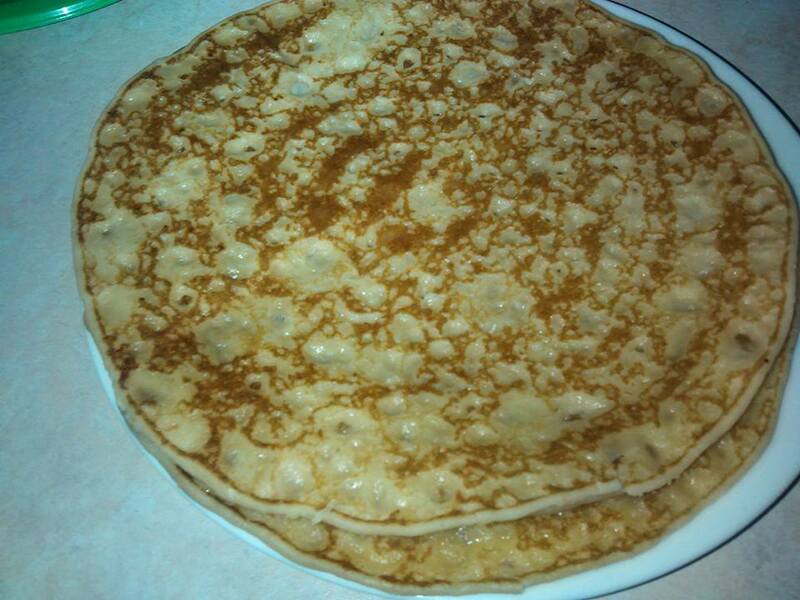 When hot, cook your pancakes for 1 min on each side until golden, keeping them warm in a low oven as you go. Serve with lemon wedges and sugar, or your favourite filling.